wbAMP causes 500 Internal Server Error when used with Joomla 3.5. "Using $this when not in object context in /libraries/joomla/filter/input.php on line 233"
"The difference in 3.5 is that `$this` always is referenced right at the beginning of the method because it has to check whether the environment needs certain characters filtered out before the format specific cleaning happens." 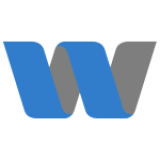 We run wbAMP on joomla 3.5 with no problem, but it's the dev version, maybe something has changed in between. We'll do more testing today. Can you point me to the discussion thread where Michael stated this? Yes, like I suspected, I just tested (again!) wbAMP 1.1.1 on a fresh Joomla 3.5.0 and it doesn't have any issue with that. AMP pages display fine. As you can see in the error message, the code involved is NOT part of wbAMP. I would suspect one of the extensions or plugins on your site to have a problem with J! 3.5.0, probably using JInputFilter in a static way. As requested before, please post the link to the conversation where Michael made that comment, I'd like to know the details.